Emphasis on 'applied' research funnels resources away from groundbreaking discoveries. Back in 2014, Microsoft quietly pulled part of its "moonshot" researchers off the launch pad. According to a recent Bloomberg report, Microsoft shifted roughly half of its 1,000 researchers into a group called MSR NeXT. Its mission: to “identify technology with the most potential” and deliver it to customers—as opposed to working in isolation from product groups, which is how its researchers had previously functioned. Makes sense, right? After all, when Microsoft debuted its innovative Hyperlapse video technology last year, Instagram—just a week or so later—released its own. If Microsoft's researchers had stroked their beards a bit longer, Microsoft would have missed its opportunity. But Microsoft's move represents just another small step away from the spirit of creativity that first made Silicon Valley an idea factory and changed the world. It caters to a future where product after product plods ahead, delivering incremental improvements and continued profits. It's the latest shift away from "pure" to "applied" research, and it's a tragedy being played out in slow motion. At its most stereotypical, “pure” researchers envision a world rocked by titanic change, driven by technologies that border on science fiction—but spend millions on sometimes fruitless experiments. Applied research, on the other hand, delivers incremental, measurable results, along with profits and revenue. But the risk attached to pure research can also pay off in technologies that lay the foundation for generations of products. Pure research organizations like Bell Labs, which killed off its fundamental physics lab in 2008, developed the first working silicon transistor—the foundation of every chip in the world—as well as the laser. Xerox PARC helped develop the laser printer, ethernet, and Apple’s Siri, among others. Where would we be without these bold innovations? 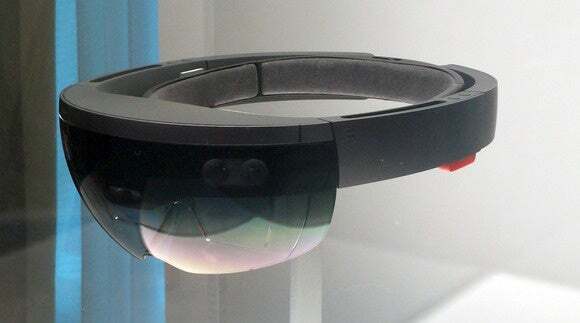 Bloomberg cites Skype Translator, HoloLens, and other technologies as examples of products that have benefitted or will benefit from the change. And if you’re a Bloomberg business reader, concerned with the ups and downs of Microsoft’s stock, you probably paid attention. But we live in a world where investors throw money at video-game consoles for dogs, services that will gas up your car for you, and... ads, ads, ads. Only a very few companies seem to even care about pure research; one of those has to be Alphabet, which split off its reliable, money-making Google ad business from a host of various “startups,” which might very well be the next big thing. So if you’re concerned about where your next phone or gadget will come from, and when it will get here, Microsoft’s reorganization is a good thing. Yes, the company is still doing pure research, just less of it. But that might be why a vague sense of loss clings to that report. It seems that we’re quietly losing a little more of what makes Silicon Valley great.